Alcatel has officially launched in the Philippines another bang for the buck mid-range smartphone, the Alcatel Flash 2. 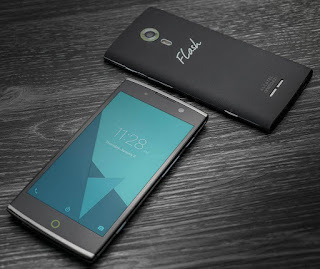 The Alcatel Flash 2 sports a 5-inch display with 720p resolution, which translates to about 294 pixels per inch. It has IPS technology for 178 degree viewing experience and supports up to 5-point touch. It also has an Asahi Dragon Trail glass for protection against the usual scratches. Although it is not the successor of the Alcatel Flash Flash, it is still worth mentioning that its screen is half an inch smaller. On the inside, it is powered by MediaTek MT6753 processor with 8 CPU cores clocked at 1.3GHz each and Mali-T720MP3 as its graphics processing unit paired with 2GB of LPDDR3 SDRAM and 16GB of ROM. The 64-bit nature of the chipset will be fully utilized as this device runs on the stock version of Android 5.1 Lollipop. It also has a micro SD card slot for storage expansion up to 128GB and what is more amazing is that it can accept NTFS formatted card, which means that individual file is not limited to 4GB. The Alcatel Flash 2 is a camera-centric phone wherein the main shooter on the back has a 13MP f/2.0 Samsung S5K3M2 ISOCELL sensor, similar to that of the Galaxy S and Note series, accompanied by real tone flash. It has PDAF, not the one given to the member of the Philippine congress, but a Phase Detection Auto Focus system for blur-free images. It also comes with lots of features, such as Manual Settings and Super Fine Pixel Mode. Meanwhile, the front camera uses a 84-degree wide angle 5MP OV5648 sensor with f/2.2 aperture, 1.4um pixel size and has LED flash too. This dual SIM smartphone supports LTE connectivity with FDD LTE bands B1, B3 and B7. It has a 3000mAh battery that Alcatel claims to last up to 25 hours of 2G talk time, 5 hours of Full HD video playback, 30 hours of playing music and standby time of up to 25 days. It will be available through Lazada this coming September 30 at around 12NN for a very affordable price tag of Php6,190.